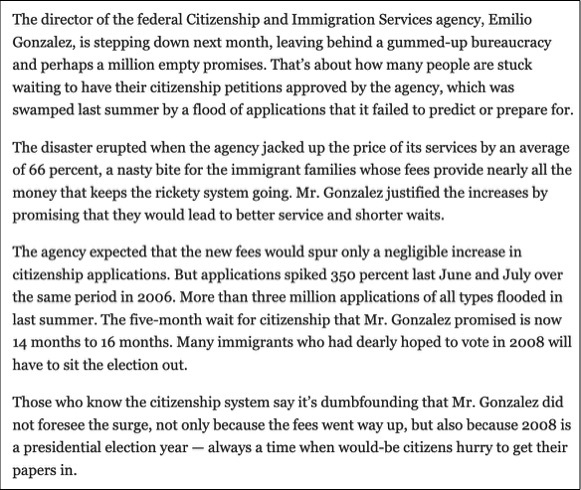 Emilio Gonzalez has been a bureaucratic fuckup all his professional life. In other places, that job performance review might have been a career killer, but not in Miami where Miami-Dade Mayor Carlos Gimenez decided that Emilio was just the guy to take over the management of the Miami International Airport, which he did with gusto, until it finally dawned on Gimenez that Emilio was not only NOT a rocket scientist, byt he wasn't qualified to fly a Piper Cub, and took away his procurement duties. None of this caused Miami's Boy Mayor a moment's hesitation when he decided that Emilio would be a good choice to become City Manager. 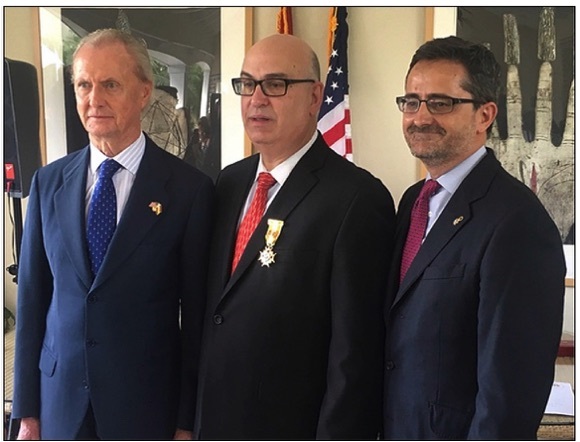 And so now, having managed to demonstrate a lack of competence in running the Citizenship and Immigration Service, the Miami International Airport and now the City of Miami, Emilio "Colonel Klink" Gonzalez, is blushingly playing coy about being mentioned in a Politico story as a possible replacement for America's Queen Of Mean, former Homeland Security Secretary, Kirstjen Nielsen. 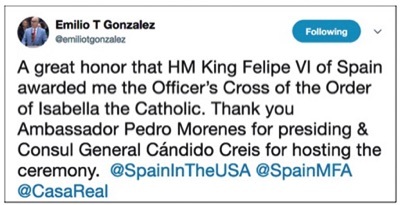 For a guy who a year ago was posing and preening about being inducted into the Order of Isabella the Catholic, to even allow your name to be associated with the morally indefensible behavior of forcibly separating children from their parents and putting them in reformatories, is a truly astounding act of debasement that should make you turn red with shame to the soles of your feet. Trust me, everybody gets it that you'd like to get away from Miami City Hall and the craziness that passes for municipal governance in America's Banana Republic, but truly, allowing your name to be associated with such a scummy endeavor and in the company of such a collection of psychopaths willing to do what they are doing in the name of national security is a one way ticket to eternal damnation and to rotting in hell! On Thursday, you should introduce a Resolution calling on the Miami City Commission to oppose the increase in beds at the Homestead facility, and to return those children to their parents with deliberate speed! That's what a real Christian would do, not flirt with the idea of angling behind the curtain to get the job that would make you their warden! 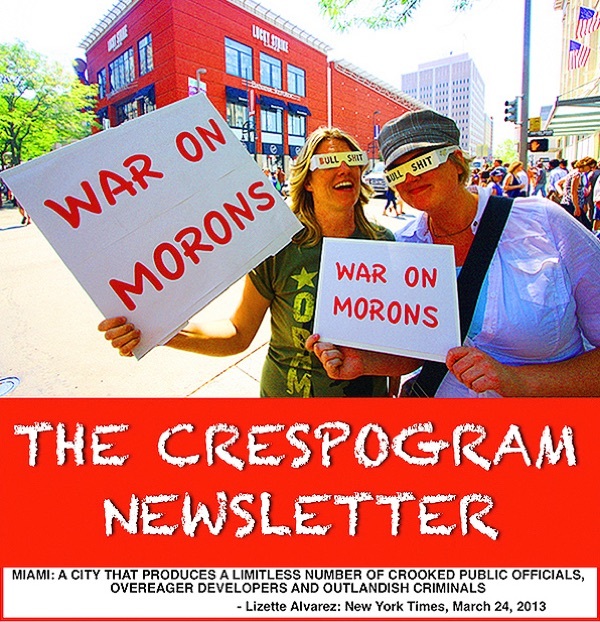 THE CRESPOGRAM HAS JUST LEARNED THAT MIAMI MAYOR FRANCIS SUAREZ WAS SCHEDULED TO MEET WITH ULTRA REPRESENTATIVES THIS AFTERNOON IN AN EFFORT TO "PERSUADE" THEM TO DONATE $750,000 SO THAT THE POLICE DEPARTMENT COULD BUY NEW BICYCLES. 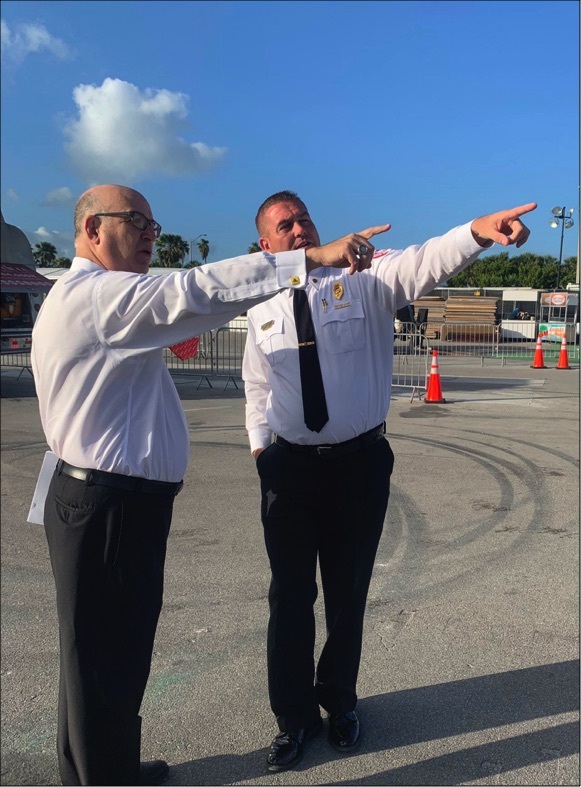 THIS TIES IN WITH A STORY THAT I AM CURRENTLY WORKING ON WHICH INCLUDES DETAILS OF $167,711.50 FOR 110 BULLET PROOF VESTS THAT ULTRA BOUGHT FOR THE FIRE DEPARTMENT. DOES ULTRA BELIEVE THAT THEY ARE BEING EXTORTED BY THE CITY OF MIAMI? WHAT DO YOU THINK? HOPEFULLY, MY STORY WILL BE OUT TOMORROW.